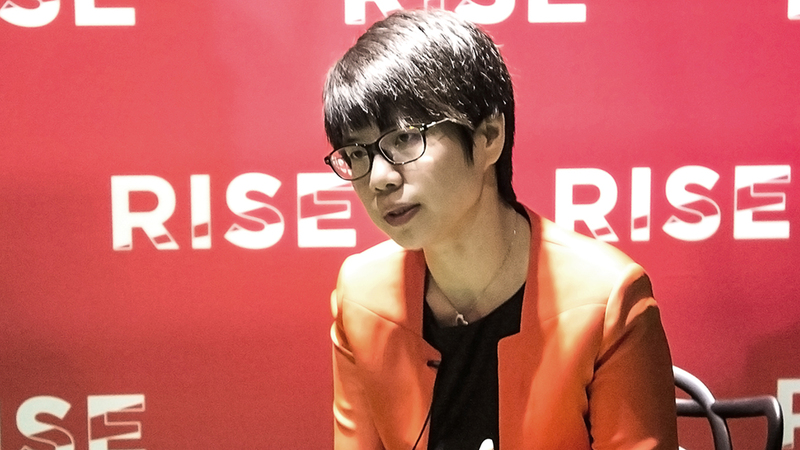 As the company gears for its initial public offering in China, possibly as early as end-2016, its founder and CEO Grace Huang recently met up with CompassList at the Rise conference in Hong Kong. In this interview, Ms Huang recounts iPinyou’s early days and growth journey. She also discusses its expansion targets, beating competition, and the sector’s trends and outlook. How did the name iPinYou come about? We wanted to redefine advertising in this new digital age. So we came up with the name “pinyou 品友,” hoping to create a platform that – through technology and data – unites consumers with brands (“pinpai” 品牌), turning them into friends (“pengyou” 朋友). This has been our mission. iPinYou raised US$78 million in pre-IPO financing toward the end of 2015. Can you tell us more about the early years of your company, and the journey that it‘s been through? Our first investor was Fritz Demopoulos, co-founder of [Chinese travel giant] Qunar. By now we have finished four rounds of financing. At the beginning, however, raising money was tough because then in 2008, especially in China, people could not imagine that technology and data would be the future of advertising. But now in hindsight, early entry into the market later gave us our competitive advantage when big data became popular. Putting together a founding team was also very difficult. It was crucial that everyone in the team could complement and supplement each other. For six months, we spent three hours on the phone every day, trying to convince our first partner, Mark, to quit his job in Silicon Valley to join our team. I even flew over to the United States to have a meal with Mark and his family, sharing with him our company’s vision. I think one can’t afford to make mistakes when it comes to recruiting – that’s why we were willing to put in so much time and effort. How did you convince clients to try your product when you started? Our first client, Education First (EF), was actually the toughest client in the market then. They had very demanding KPIs, so most companies dared not approach them. At that time, no one had heard of our company yet, so we provided a month’s worth of free service. When EF saw that using our technology could indeed achieve results similar to those of a search engine, they rewarded us with a huge account. That kept us going for three years. What is your outlook on the market, and where does iPinYou stand? As of now, the segment we are in accounts for roughly 10% of China’s digital advertising market, although definitions do vary. In America, about 70% of the digital ad market is programmatic. I’d say that although how the figures are defined varies, we can still roughly use the US as a benchmark. Hence, we believe China will follow similar growth. Right now we [the China market] are still in an early stage, but its growth potential is huge. We reckon the market could double or triple every year. Currently, iPinYou has about a 60% share of the large brands market, i.e., Fortune 500 companies and big Chinese enterprises. The five biggest digital advertising players in China control about 80% of the overall market. But the market has reached a stage where standards are being set. We believe that once these standards are set, and as we continue to invest in technology and product development – this market will certainly be a winner-takes-all industry – I believe it’s possible for us to capture 70–80% of the market. How do you manage stiff competition from other, possibly bigger companies? First, we have to define our niche. We are a third-party intelligent ad optimization platform based on big data. This is our premise in defining programmatic buying. This way, we also avoid competing directly with [Internet giants] Baidu, Alibaba and Tencent, which provide a general service bundle (media + technology). How is iPinYou positioning itself? I think we are now in the right place, at the right time. Programmatic buying has become a buzzword in China’s digital advertising industry – a stark difference from 2008 [when iPinYou started]. Of course, we’re also studying current trends, e.g., virtual reality, mobile, Over-the-Top (OTT) players, and how they might impact our models. We are also working with TV broadcasters to streamline their programs, to see if our technology could help match them to advertisers and facilitate bidding. So I believe that as long as there is the possibility of raising efficiency, it is our opportunity. As such, we have great confidence in the long-term prospects of this market. What have been the challenges faced, especially for a company that expanded so quickly? We have about 400 staff now, but back in 2011 our company had only over a dozen employees. So you can imagine how quickly our company has grown over the past few years. In 2013, we had about 100 staff, and I still knew everyone by name. By 2015, I realized when taking the elevator that our colleagues no longer recognized one another, despite getting off on the same floor. That was the turning point for me, when I realized that I did not know many people in the company. So one challenge we have had to deal with was cooperation across different departments, which gets very complicated because we have so many staff. What advice do you have for young aspiring entrepreneurs? First, to be a successful entrepreneur, you must persevere through the 8 to 10 years it usually takes to build your company. Looking back, even if some companies are lucky enough to be listed publicly at the outset, it may not necessarily be the most stable or viable way to achieve success. Second, finding the right team is important – our team has always been part of the growth of the company. In retrospect, if someone shows great potential – even if they might not seem the most suitable candidate initially – and is subsequently able to keep up with the company’s pace of growth, to me, he is a valuable hire. Thirdly, your company must have a clear direction. As I said, starting and running a business requires long periods of perseverance. And we persevere because we are sure of our direction, because we truly believe [in our vision], and not just because an investor or a newspaper says the sector is hot. Hence I believe that once an entrepreneur fully grasps this, it will be the foundation for overcoming the numerous challenges ahead, whether it’s 8 or 10 years. The interview was conducted in Mandarin and translated. It has been edited for length and clarity.